What is Hardening of the Arteries? 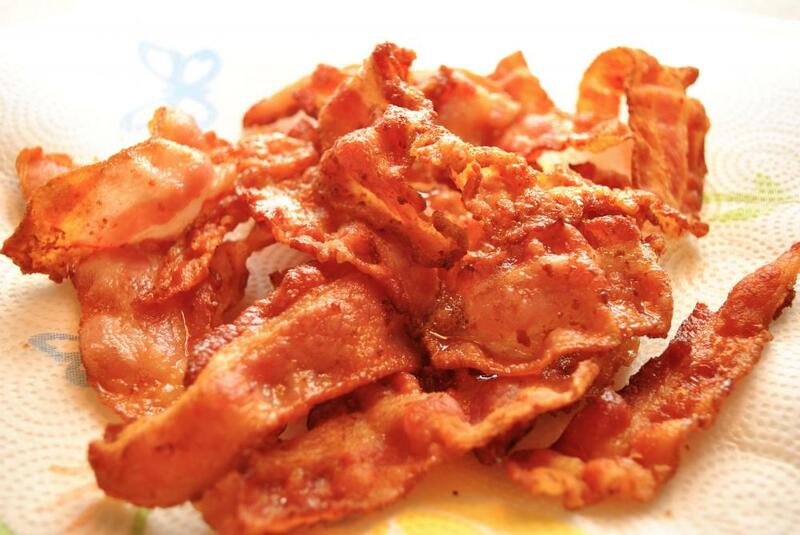 Hardening of the arteries may lead to heart attacks. Plaque buildup in the arteries of the limbs may cause walking difficulties. Obesity may increase the chances for atherosclerosis. Inactivity may increase the chances for atherosclerosis. Smoking may put someone at particular risk for developing atherosclerosis. 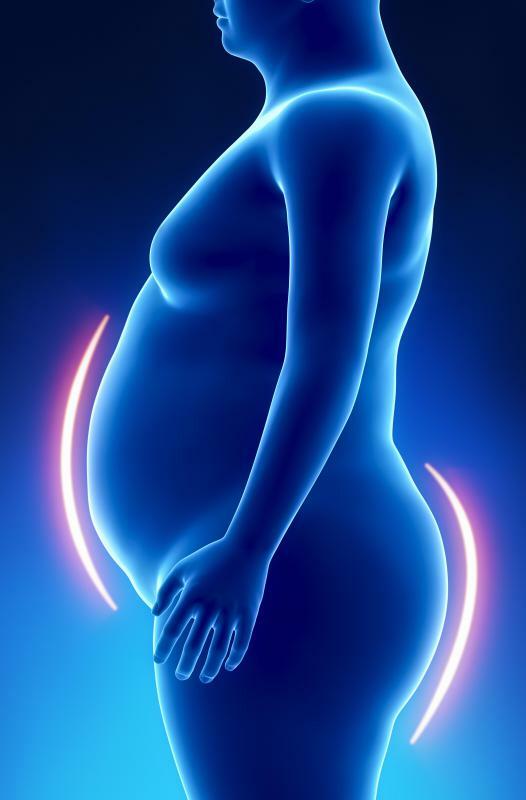 A person whose diet includes an excess of fat may be at particular risk for developing atherosclerosis. 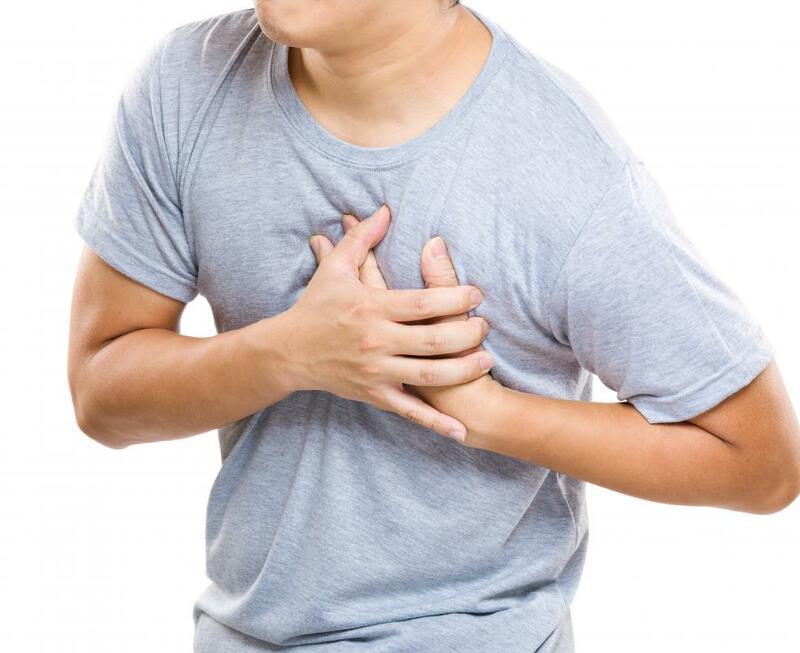 Males of African descent are particularly susceptible to developing atherosclerosis. Aspirin is commonly used to curb atherosclerosis. When hardening of the arteries is severe, angioplasty treatment may be necessary. 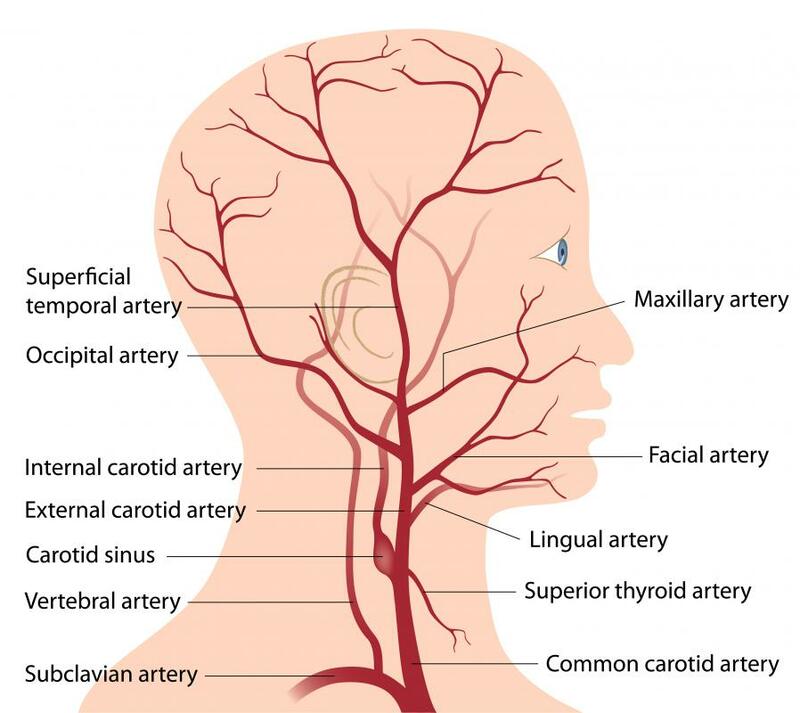 A diagram of the human head and neck, including the arteries in red. 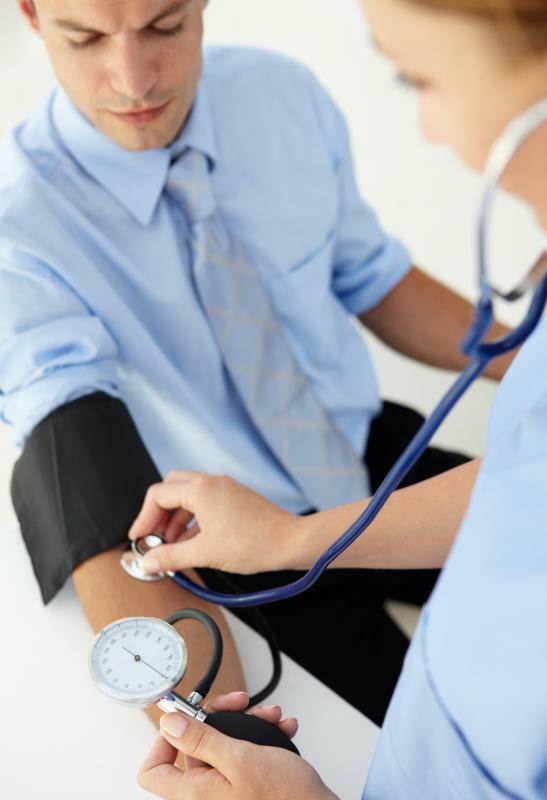 People with chronic high blood pressure are at high risk for atherosclerosis. Hardening of the arteries, also known as atherosclerosis, is a condition that develops when fat and other matter called plaque develops along the walls of the arteries. As more plaque builds up and hardens in the arteries, the heart has to work much harder to deliver blood throughout the body. Eventually, this condition may lead to coronary diseases including strokes, heart attacks, and irregular cardiac rhythms. An individual's arteries become hardened gradually. As more plaque develops over time, a person will develop symptoms. These symptoms may differ, depending on which artery becomes afflicted with plaque buildup. If hardening of the arteries develops in the arteries of the heart, a person may experience symptoms comparable to a heart attack, including chest pain and shortness of breath. Symptoms of atherosclerosis in the arteries to the brain often include lack of feeling in the arms and legs, trouble talking, and sagging facial muscles. A person who develops plaque buildup in the arteries of the limbs will often experience difficulty walking. If the plaque buildup becomes severe in the limbs, amputation may be necessary. When atherosclerosis arises in the arteries leading to the kidney, a person may develop hypertension or kidney failure. Certain factors may expedite or lead to hardening of the arteries. Risk factors may include hypertension and high levels of bad cholesterol. Nicotine, obesity, and/or lack of physical activity may also increase the chances for atherosclerosis. A person whose diet includes excess fat and lacks fruits and vegetables puts himself at risk for atherosclerosis. A person's traits also play a role in developing atherosclerosis. As a person increases in age, he is more inclined to develop hardened arteries. 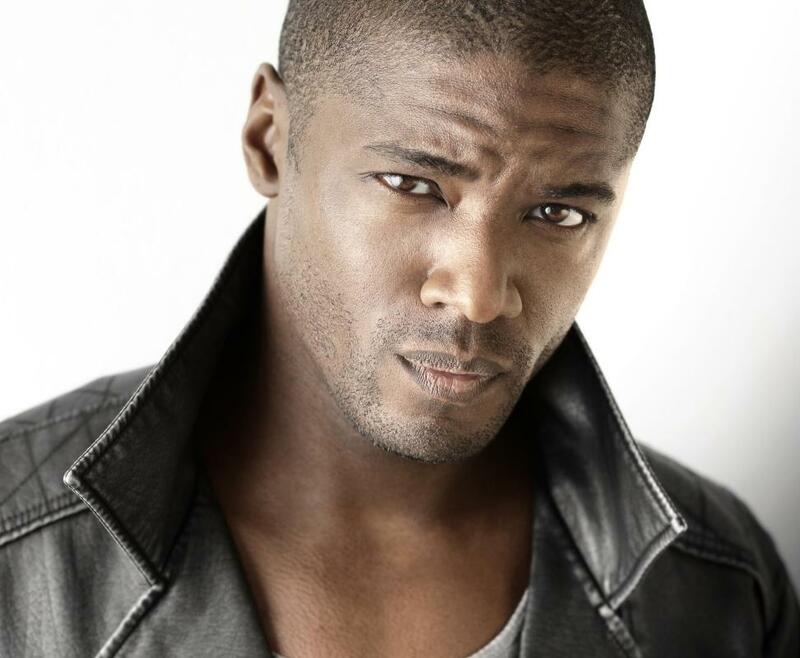 Males and people of African descent are also more susceptible to the condition. A person's genes also are a risk factor. If a person has a parent or close relative with the disease, he is at risk for atherosclerosis. Treatment for atherosclerosis aims to increase blood flow to affected arteries. Changing one's lifestyle can make a big difference. Progression of plaque can be curbed through engaging in exercise, eating a healthy diet, and losing weight. Stopping smoking can decrease the levels of bad cholesterol and enhance the levels for good cholesterol. Certain medications can help reduce or reverse the effects of hardened arteries. Aspirin is commonly used to curb atherosclerosis as the anti-platelet medicine aids in preventing blood clots. Medications such as fibrates and statins can also be prescribed by a physician. Fibrates and statins increase good cholesterol levels and lessen bad cholesterol levels. When hardening of the arteries is severe, other treatment may be necessary. 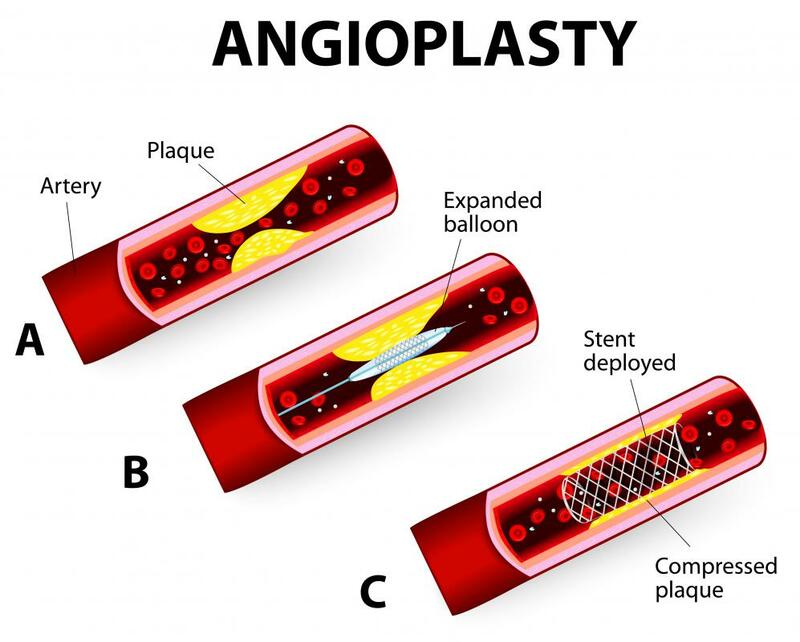 Angioplasty includes the placement of a thin balloon in the artery. When the balloon is blown up in the body, it increases the size of the artery, allowing for better blood flow. Blood flow may also be improved with bypass surgery. Bypass surgery enhances circulation by using arteries or veins from another body part or synthetic fabric to treat the blocked artery. What are the Different Atherosclerosis Risk Factors? What are the Vertebral Arteries? What are the Dangers of a Blocked Artery? @Laotionne - I think aspirin are supposed to be good for preventing hardening of the arteries in general. 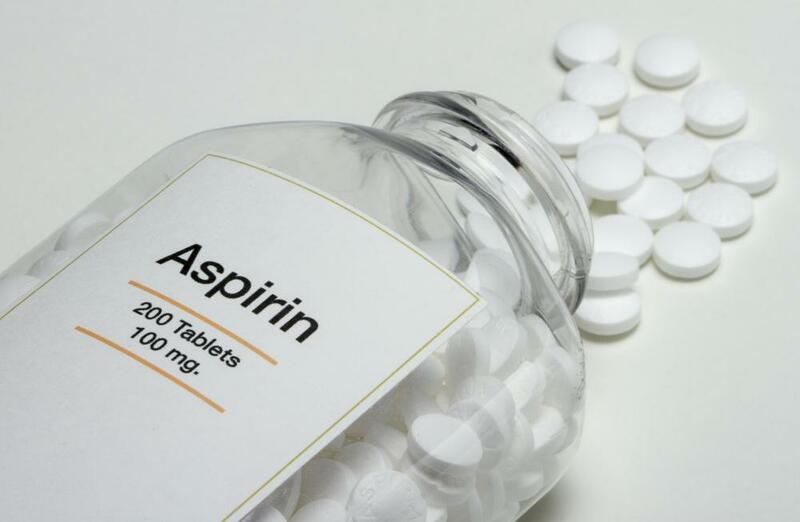 So an aspirin can be taken as a way to treat hardening of the arteries in the brain or hardening of coronary arteries. One of my neighbors took a couple of aspirin because she got a really bad headache, and then she started having pains in her arms and she became dizzy. Her daughter called for an ambulance and when she was taken to the hospital tests showed she had had a stroke. Her recovery was slow, but her doctor said she was fortunate to have taken the aspirin because that probably kept her condition from being much worse after the stroke. I have been told that taking an aspirin each day is good for my health, but the person who told me this could not tell me exactly what the aspirin was supposed to do for me. After reading this article, I'm assuming that taking the aspirin is a way of combating heart disease and decreasing the chances I will have a heart attack. I was concerned about the potential for hardening of my coronary arteries because there is a history of heart disease in my family. My doctor told me that the first thing, and probably the most effective step I could take to fight this condition was to start getting at least 20 minutes of vigorous exercise three times a week.